Get to the point quickly, when using the most colorful expressions possible! This expression, whether used with a question mark or an exclamation mark at the end, is perfect in an array of conversations. 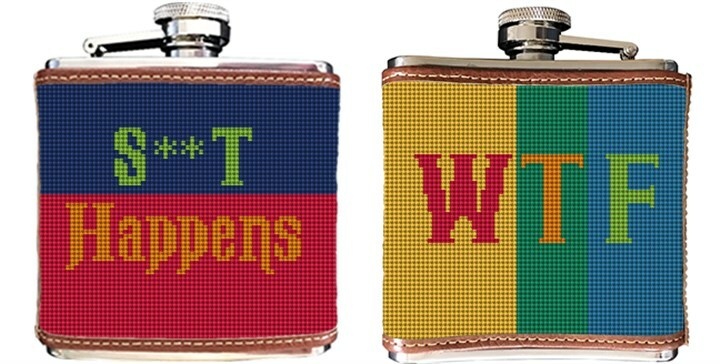 Make that statement come alive with colorful typography, blocks of color, and some text language on your new needlepoint flask.